This past Saturday morning I asked my husband what he wanted for dinner. He said, "How about meatloaf?" My first thought was: I don't have the ingredients... and it'll probably take a long time. But then I remember I had made a delicious meatloaf recipe awhile back. I pulled out the recipe and quickly jumped on Instacart and ordered the ingredients. P.S. If you haven't used Instacart you're totally missing out — my groceries were delivered to my doorstep within 2 hours! 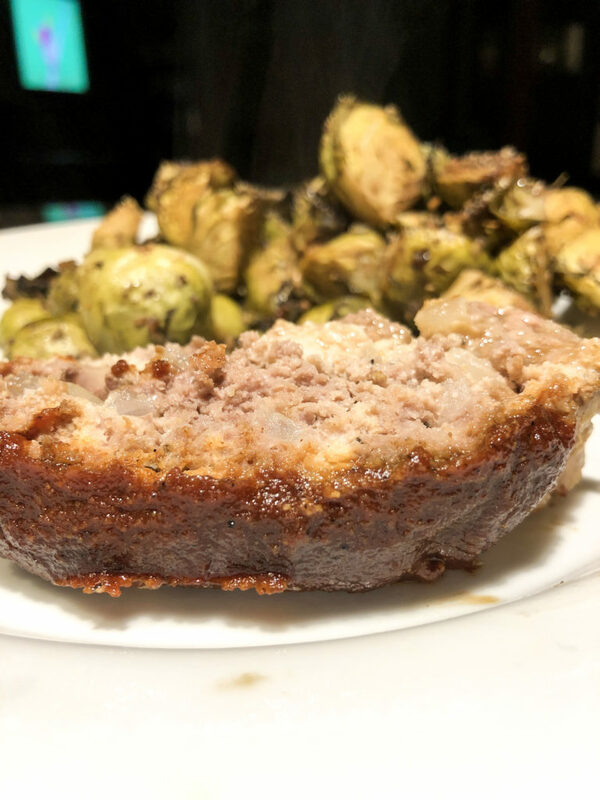 After my groceries arrived, I threw together this quick meatloaf recipe in less than 10 minutes. I was even able to use up some homemade BBQ sauce I had made the weekend prior! I placed the meatloaf in the CrockPot and, voila! Six hours later, we had an absolutely delicious, healthy recipe ready to go. And my husband LOVES it. Even the kiddos enjoyed it! I'd highly recommend making a large batch of the BBQ sauce so you can use it for other recipes. It's really the best BBQ sauce I've ever had! In a large bowl, combine ground beef, ground pork, onion, almond flour, salt, pepper and garlic powder. Add in eggs and mix well with your hands until fully combined. Set slow cooker to low and cook 5 to 6 hours. In the last half hour of cooking, brush the top and sides with about 1/3 cup barbecue sauce. 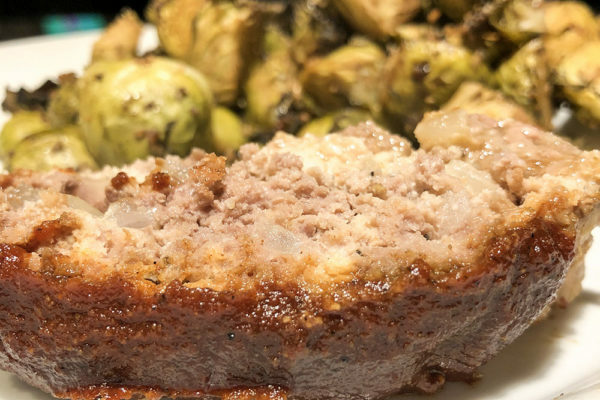 Use two serving forks to lift the meatloaf out of the slow cooker and onto a serving platter. Slice and serve with remaining barbecue sauce. Cooking tip: if you can't use lean ground beef and turkey, make sure to put a rack or some balled up tinfoil in the bottom of your slow cooker. Otherwise, your meatloaf will be swimming in grease by the end of cooking. Using simple, clean ingredients, this recipe is the perfect topping for your meatloaf, baked chicken breasts, or even a BBQ chicken pizza! This sauce is pretty thin. If you want to thicken it up, you can put on the stove top for about 15-20 minutes to reduce water & thicken to your preference.